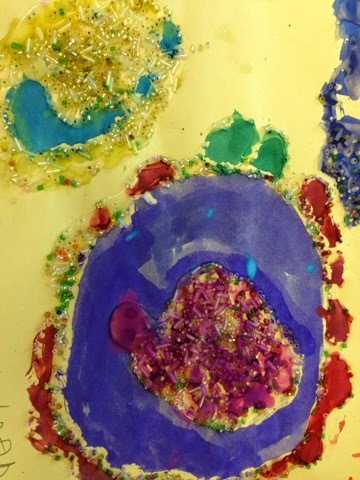 The children created some beautifully intricate artwork in preparation for our upcoming school art show this Thursday. 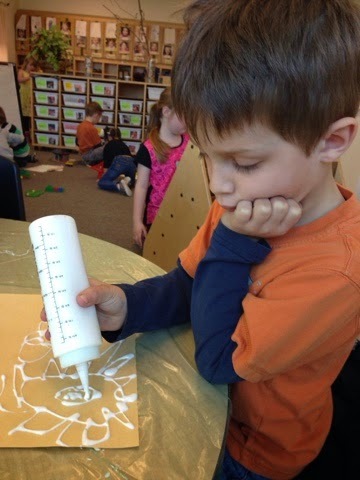 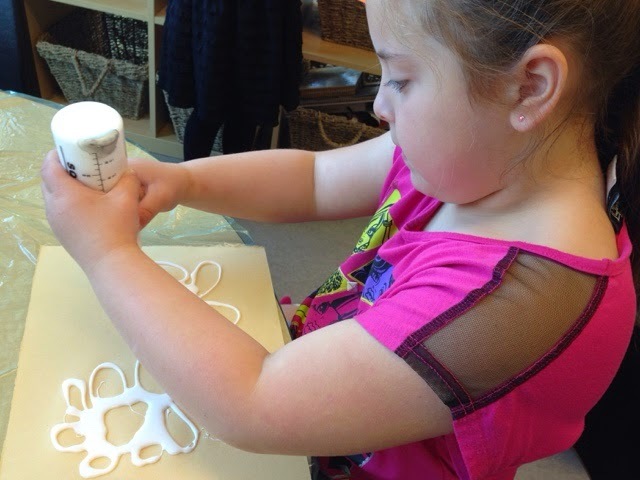 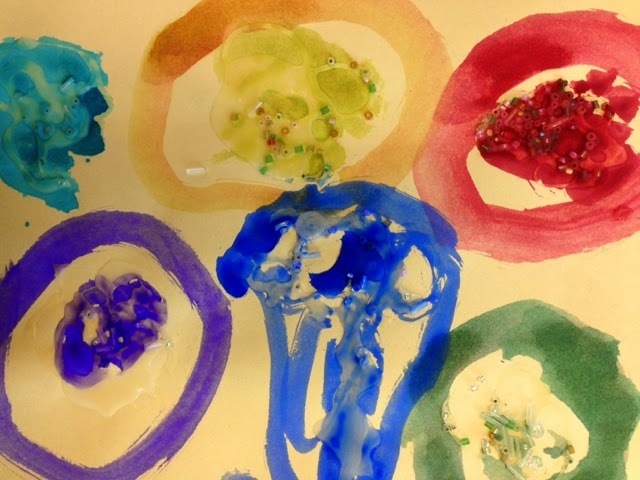 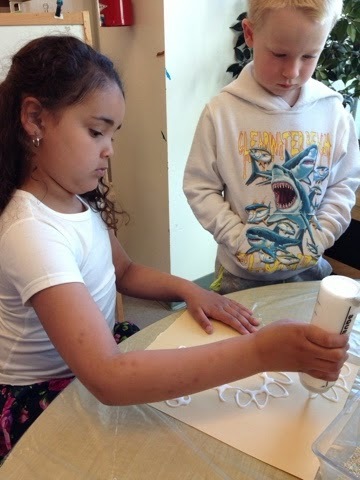 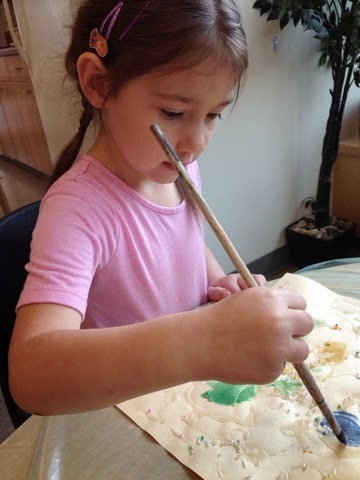 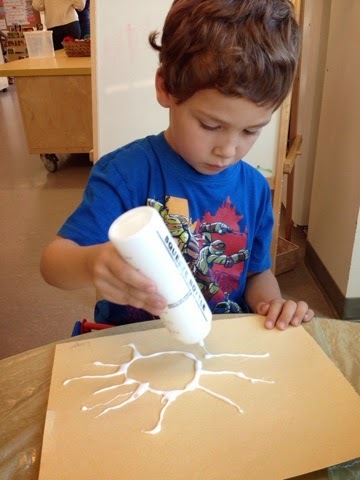 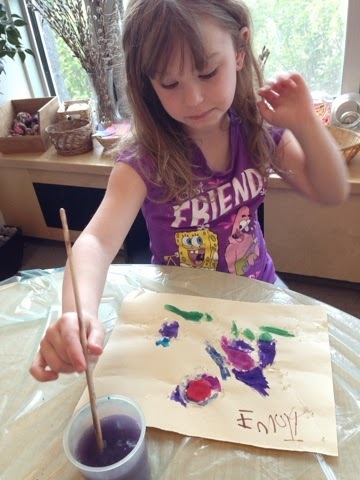 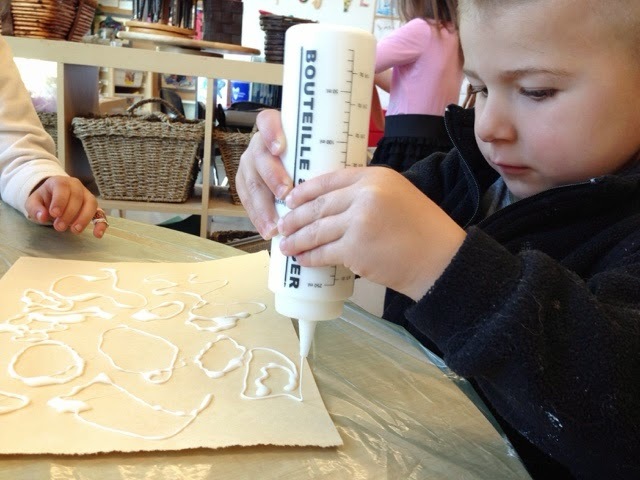 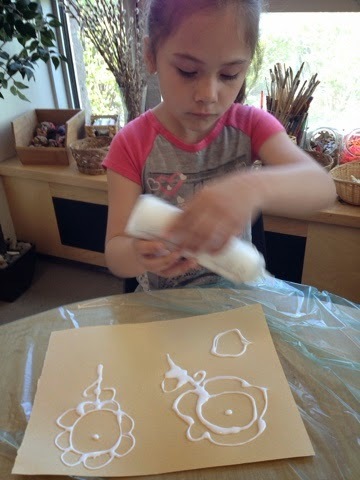 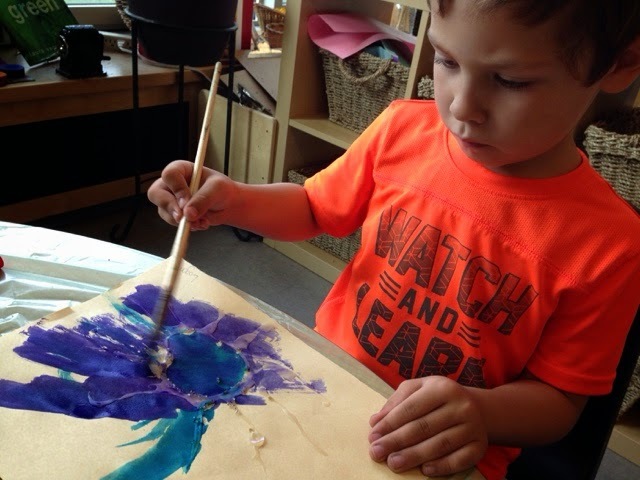 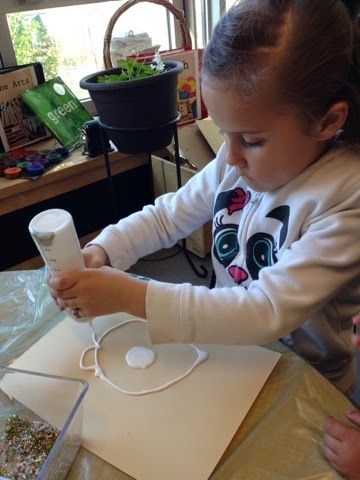 The first step was to create flower designs using white glue and squeeze bottles. 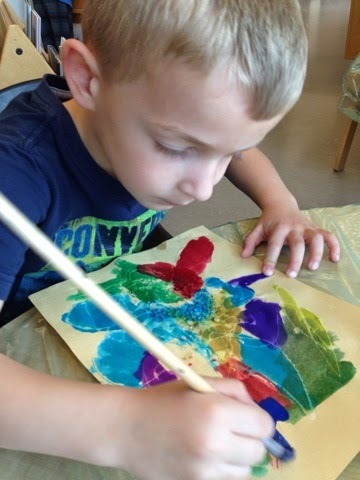 The children squeezed the glue into beautiful pictures and designs. 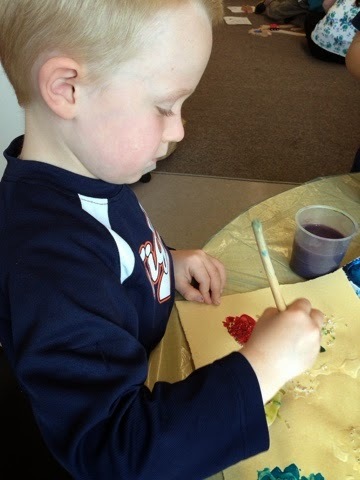 Then they sprinkled delicate seed beads onto their design. 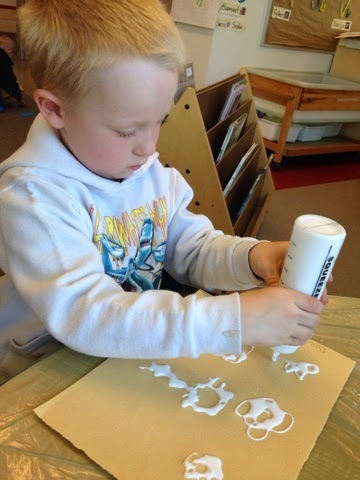 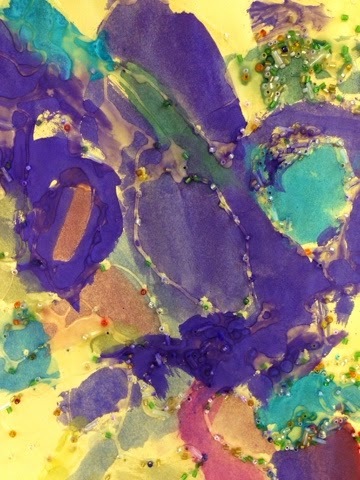 Once the glue dried the children used watercolours to paint in and around the glue.